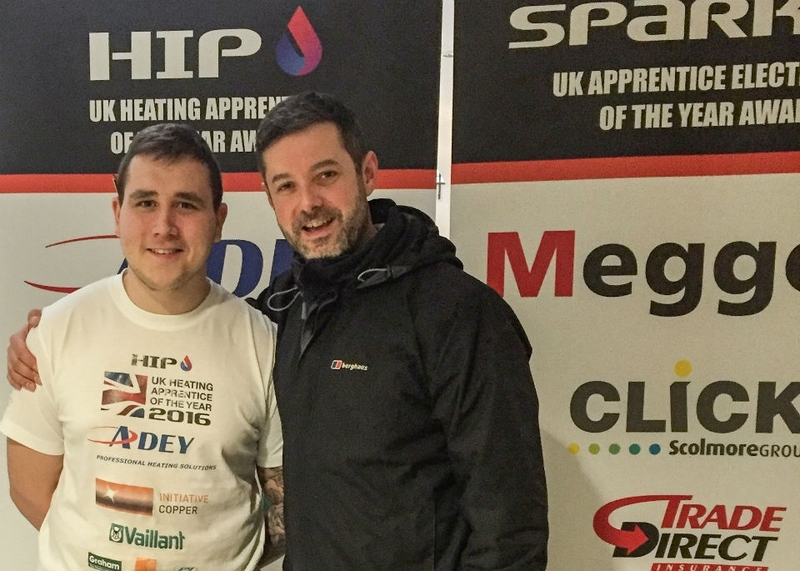 An M&N Heating & Plumbing apprentice was selected to represent Moulton College in the HIP UK Heating Apprentice of the Year 2016. 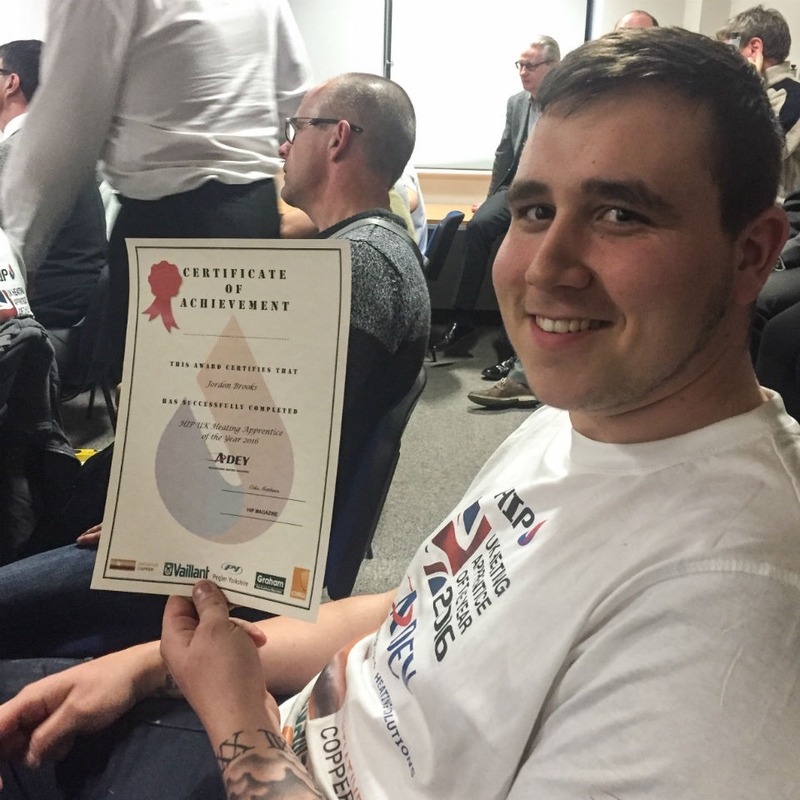 On Wednesday 17 February 2016, our very own Jordon Brooks participated in the Midlands regional heat of the HIP UK Heating Apprentice of the Year 2016 competition held at Stephenson College in Coalville, Leicestershire. With only one student per college, M&N Heating & Plumbing is proud of Jordon's selection to represent Moulton College, competing against thirteen other regional colleges. To enter, students must be studying towards NVQ Level 2/3 and successfully pass a previous years' practical test paper. The HIP UK Heating Apprentice of the Year competition is an annual event, which has been running since 2009. It provides apprentices with the opportunity to test their skills against fellow students and the opportunity to win great prizes. With over seventy apprentices competing in the regional heats, 2016 represents the most competitive year for the event. Jordon faced tough competition on the day and, unfortunately, didn't progress to the national heat. However, the judges commended all the students for the very high standards of their work, outlining there was only a few marks that separated all fourteen students. Jordon's mentor, John Kendrick - Plumbing & Heating Lecturer at Moulton College - was pleased with his installation, adding that "he worked very hard produce a quality piece and entered into the spirit of the competition". M&N Heating & Plumbing is proud to operate its own apprenticeship scheme for young, bright and enthusiastic people to develop their heating and plumbing skills with hands-on experience. All apprentices employed by us work closely with, and are supervised by, a fully-qualified engineer until they have successfully completed their training. In addition to hands-on experience, our apprentices undertake Plumbing & Domestic Heating (6189) qualification provided by City & Guilds, to a Level 2 minimum. M&N Heating & Plumbing would like to wish all participants the best of luck for the national heat, and thank HIP Magazine for the fantastic opportunity provided to Jordon Brooks.